Today we’d like to introduce you to Emily Keaney. This Boston girl recalls her roots. It all started with an orphan dog named “Annie”. She was among a litter of black lab mixes found abandoned in a park in Boston. She was my first “love”, a sweet, gentle family pet. From there, my interest in animals expanded beyond the “ordinary”. Bless my parents for their patience as I adopted hamsters, mice, rats, an iguana, fish, dogs, cats, bunnies, ducks and birds! Animals touched my soul as a teen struggling with depression, and my favorite place to spend time was at the animal shelter in Boston. My idol was, and is, Steve Irwin, and to this day, I dream of establishing a wildlife sanctuary. Life changed with the birth of my daughter, Isabella Rose, when I was 18. Instead of going to college, I remained at home, attended bartending school and worked for 5 years at Lewis’, a local Irish pub. I also became a licensed esthetician, though I never actually worked in this field. Fast forward to 2010, when we moved across country to San Diego. Note that I moved with four cats, three birds, and two turtles! Needless to say, it cost more for the airfare for the pets than it did for the people. I was so happy to be in San Diego, a city I love! I adopted my dog, Rodney, soon after I arrived. I especially wanted to work with breeds that are so misunderstood, such as pit bulls. I needed more knowledge and was very fortunate to work with my mentors, Kyle Rayon and Jessica Wheat craft of Synergy Dog Training. 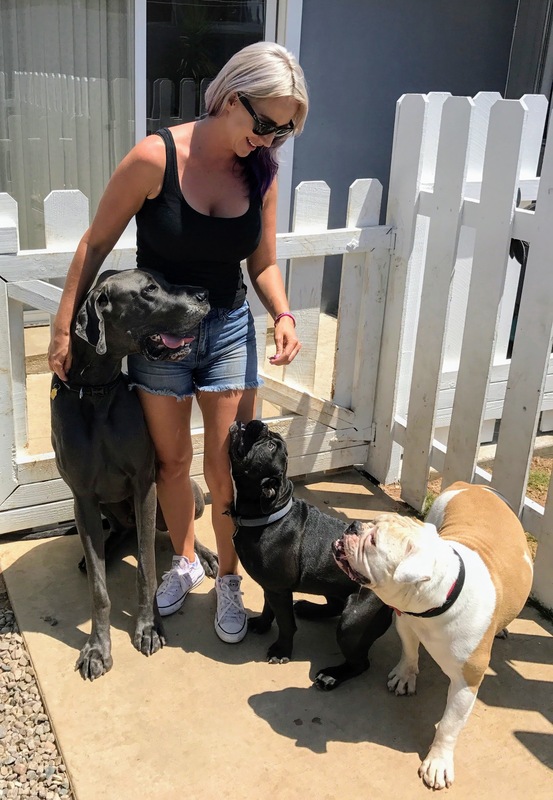 They taught me how to understand a dog’s behavior, body language and personality in a way that enabled me to have the confidence and commitment to start my own business, Down To Earth Dogs. 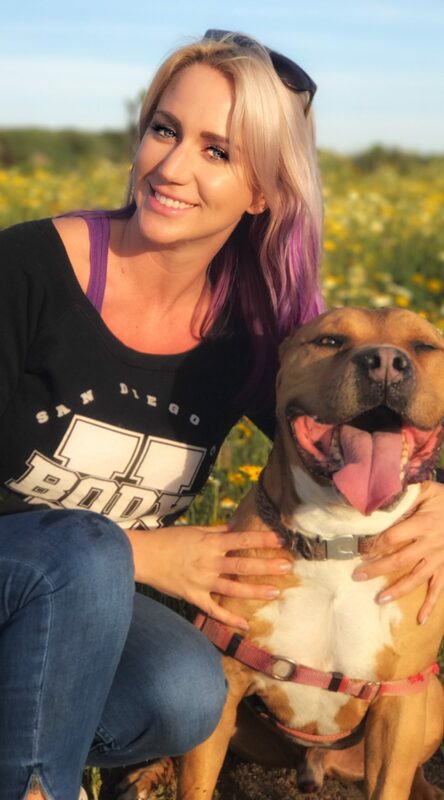 I also joined SD County/Best Friends Animal Society “Pit Crew” volunteer program, dedicated to restoring their image, promoting responsible dog ownership, and returning pit bulls to their rightful place as treasured family members. 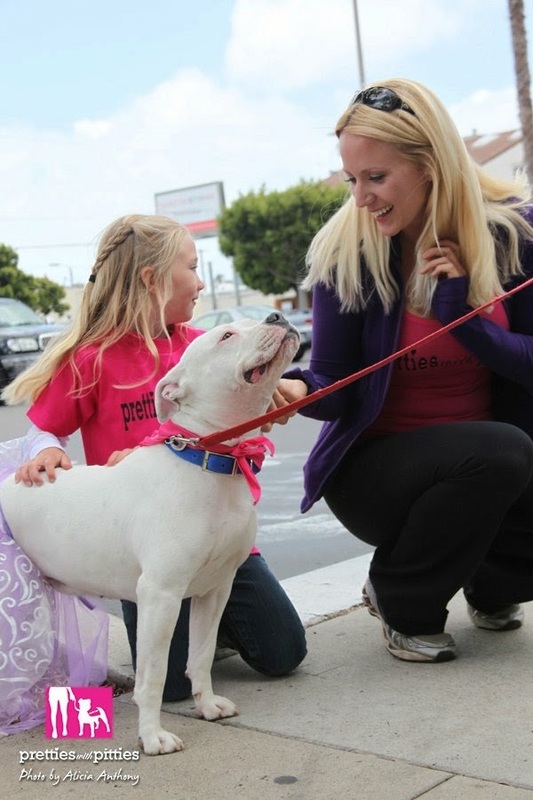 I have volunteered/fostered with SD County Shelter, SD AWOL, SD Humane Society & The Animal Pad. I have and continue to foster puppies and adult dogs; our current guest is a 6 month old stray from Mexico named “Luna” and I am working with her to reduce the high level of anxiety & fear she has developed. 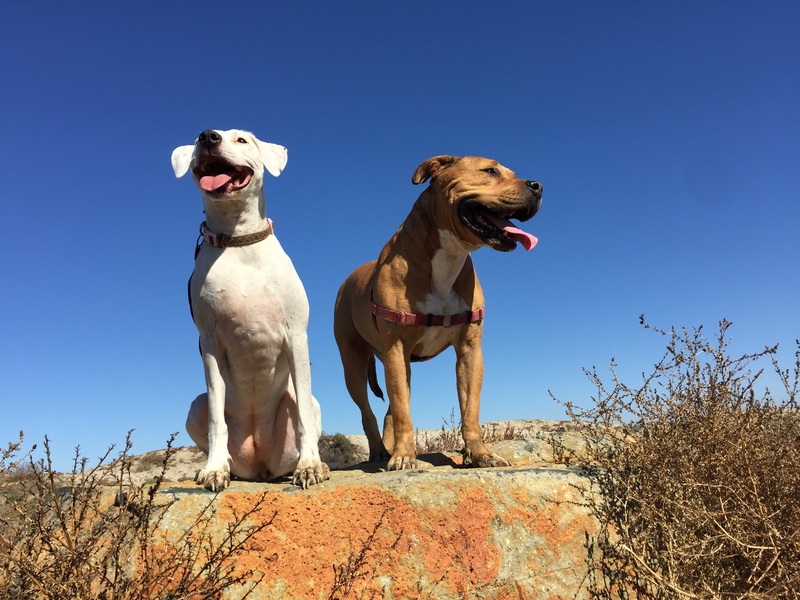 I also privately rescued two pit bull puppies from across the border, one of whom has such excellent social skills that he has become a “helper dog” in the training of other dogs who are fearful or reactive. In my continual search for a meaningful life, I recently completed my 200-hour Yoga Alliance teacher certification. I am a vegetarian, a fitness lover, law of attraction believer, crystal and gemstone collector and I follow eastern & holistic medicine and nutrition principles. I volunteer weekly at Elder Help of San Diego. I try by example to guide my daughter in these values, and I delight in the caring, compassionate and intelligent young woman she is becoming. She is an integral part of my business, taking photos and assisting in the care of our furry “guests”. I have learned so much on my journey, and although I have had my fair share of challenges along the way, I am grateful for the presence of dogs in my life. Working with them has been, and remains, part of who I am. I wouldn’t say that building my business has been difficult. Rather, I would say that it has taken time, patience and determination. Anyone who knows me is aware that perseverance is one of my traits! At Down To Earth Dogs, I take the time to get to know each dog, including their quirks and personality traits. I am a firm believer in POSITIVE reinforcement, and I customize the boarding needs to suit the dog. My business is all-breed friendly, in support of my firm belief that each dog has his/her own personality and needs. I especially love boarding puppies, where they can learn boundaries and social cues from adult dogs in a supervised and safe environment. My business is successful. I stand apart from the larger boarding facilities, where there often are so many dogs that individualized attention is not possible. I have a home-based setting, where small group play is part of everyday. 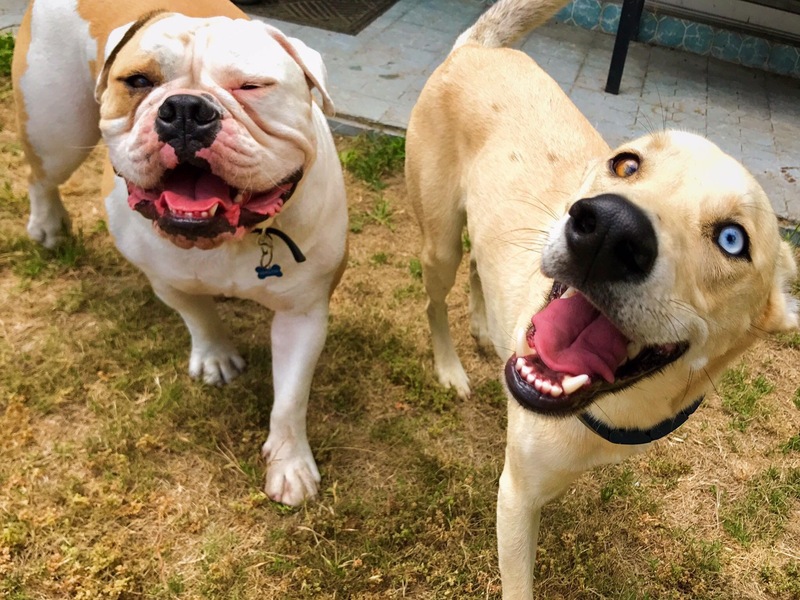 I have several distinct play areas, and my goal is to ensure that each dog is happy, comfortable, and relaxed. My home becomes a “second home” to the dogs. I have had many clients for several years. 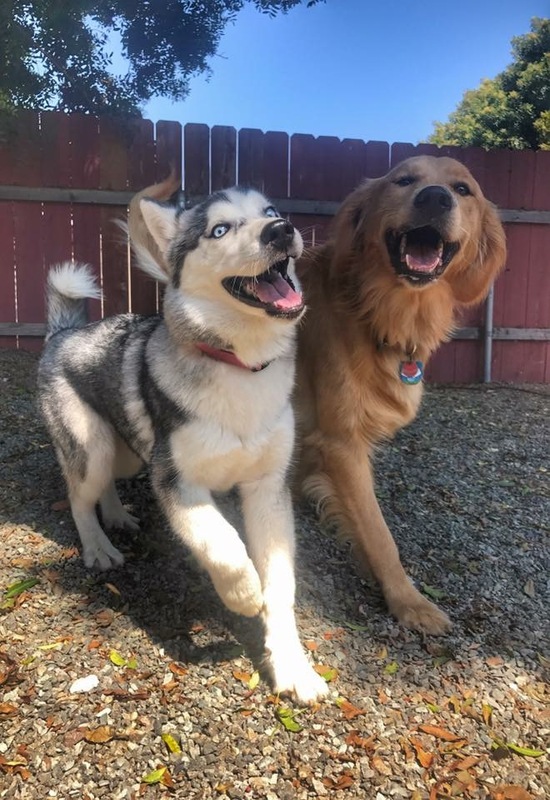 I believe that my knowledge of dog behavior, combined with the ability to provide both a quiet environment for older dogs, and a more active setting for the younger, more exuberant dogs, is a key to my success. I have over 75 five star reviews on Yelp, Google & Facebook, and my business was recently voted among the Top Five best boarding sites for the San Diego A-List. We love Emily and Down to Earth Dogs! My daughter adopted a puppy two years ago from Lab and More and she was/is a handfull! 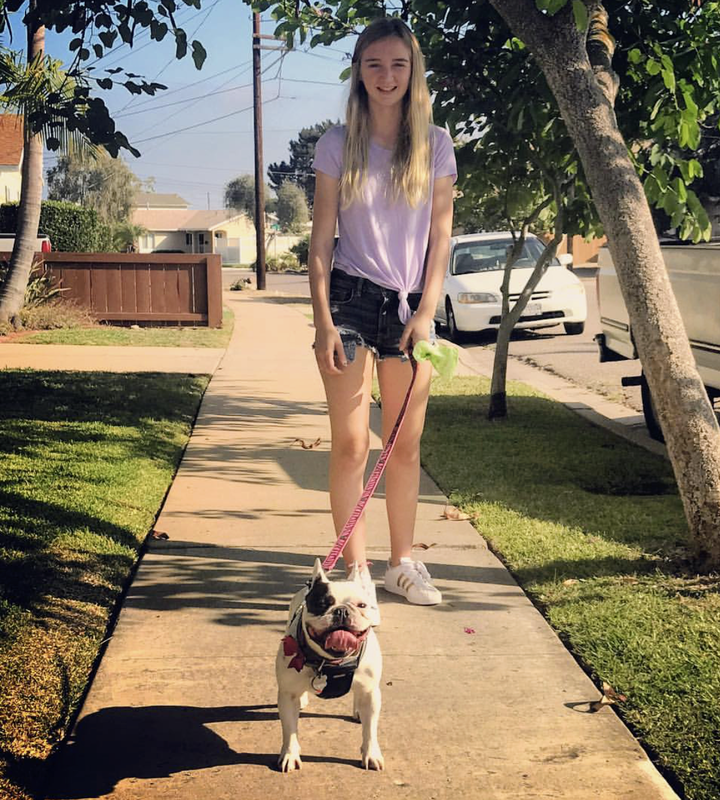 Emily is great with her and Luna gets excited when she realizes she is being dropped off to hang out with Emily and her dog friends.